No region on the map — except it be the ancient Scythia — is more uncertainly defined than that which bore the designation of India. Ethiopia is perhaps the only parallel. It was the home of the Cushite or Hamitic races, and lay to the east of Babylonia. It was once the name of Hindustan, when the dark races, worshippers of Bala-Mahadeva and Bhavani-Mahidevi, were supreme in that country. The India of the early sages appears to have been the region at the sources of the Oxus and Jaxartes. Apollonius of Tyana crossed the Caucasus, or Hindu Kush, where he met with a king who directed him to the abode of the sages — perhaps the descendants of those whom Ammianus terms the "Brahmans of Upper India," and whom Hystaspes, the father of Darius (or more probably Darius Hystaspes himself) visited; and, having been instructed by them, infused their rites and ideas into the Magian observances. This narrative about Apollonius seems to indicate Kashmere as the country which he visited, and the Nagas — after their conversion to Buddhism — as his teachers. At this time Aryan India did not extend beyond the Punjab. To our notion, the most baffling impediment in the way of ethnological progress has always been the triple progeny of Noah. In the attempt to reconcile postdiluvian races with a genealogical descent from Shem, Ham, and Japhet, the Christianesque Orientalists have set themselves a task impossible of accomplishment. The biblical Noachian ark has been a Procrustean bed to which they had to make everything fit. Attention has therefore been diverted from veritable sources of information as to the origin of man, and a purely local allegory mistaken for a historical record emanating from an inspired source. Strange and unfortunate choice! Out of all the sacred writings of all the branch nations, sprung from the primitive stock of mankind, Christianity must choose for its guidance the national records and scriptures of a people perhaps the least spiritual of the human family — the Semitic. A branch that has never been able to develop out of its numerous tongues a language capable of embodying ideas of a moral and intellectual world; whose form of expression and drift of thought could never soar higher than the purely sensual and terrestrial figures of speech; whose literature has left nothing original, nothing that was not borrowed from the Aryan thought; and whose science and philosophy are utterly wanting in those noble features which characterize the highly spiritual and metaphysical systems of the Indo-European (Japetic) races. Bunsen shows Khamism (the language of Egypt) as a very ancient deposit from Western Asia, containing the germs of the Semitic, and thus bearing "witness to the primitive cognate unity of the Semitic and Aryan races." We must remember, in this connection, that the peoples of Southwestern and Western Asia, including the Medes, were all Aryans. It is yet far from being proved who were the original and primitive masters of India. That this period is now beyond the reach of documentary history, does not preclude the probability of our theory that it was the mighty race of builders, whether we call them Eastern Ethiopians, or dark-skinned Aryans (the word meaning simply "noble warrior," a "brave"). They ruled supreme at one time over the whole of ancient India, enumerated later by Manu as the possession of those whom our scientists term the Sanscrit-speaking people. These Hindus are supposed to have entered the country from the northwest; they are conjectured by some to have brought with them the Brahmanical religion, and the language of the conquerors was probably the Sanscrit. On these three meagre data our philologists have worked ever since the Hindustani and its immense Sanscrit literature was forcibly brought into notice by Sir William Jones — all the time with the three sons of Noah clinging around their necks. This is exact science, free from religious prejudices! Verily, ethnology would have been the gainer if this Noachian trio had been washed overboard and drowned before the ark reached land! Bunsen calls the pre-Menite, but nevertheless epochal history. * Pococke belongs to that class of Orientalists who believe that Buddhism preceded Brahmanism, and was the religion of the earliest Vedas, Gautama having been but the restorer of it in its purest form, which after him degenerated again into dogmatism. f "India in Greece," p. 200.
colony, with their high Indian civilization and arts. 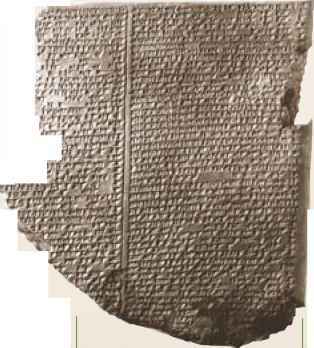 Science is still in the dark about cuneiform inscriptions. Until these are completely deciphered, especially those cut in rocks found in such abundance within the boundaries of the old Iran, who can tell the secrets they may yet reveal? There are no Sanscrit monumental inscriptions older than Chandragupta (315 B.C. ), and the Persepolitan inscriptions are found 220 years older. There are even now some manuscripts in characters utterly unknown to philologists and paleographists, and one of them is, or was, some time since in the library of Cambridge, England. Linguistic writers class the Semitic with the Indo-European language, generally including the Ethiopian and the ancient Egyptian in the classification. But if some of the dialects of the modern Northern Africa, and even the modern Gheez or Ethiopian, are now so degenerated and corrupted as to admit of false conclusions as to the genetical relationship between them and the other Semitic tongues, we are not at all sure that the latter have any claim to such a classification, except in the case of the old Coptic and the ancient Gheez. * "The Asiatic origin of the first dwellers in the Nilotic Valley is clearly demonstrated by concurrent and independent testimony. Cuvier and Blumenbach affirm that all the skulls of mummies which they had the opportunity of examining, presented the Caucasian type. A recent American physiologist (Dr. Morton) has also argued for the same conclusion ("Crania Mgyptiaca." Philadelphia, 1844). f The late Rajah of Travancore was succeeded by the elder son of his sister now reigning, the Maharajah Rama Vurmah. The next heirs are the sons of his deceased sister. In case the female line is interrupted by death, the royal family is obliged to adopt the daughter of some other Rajah, and unless daughters are born to this Rana another girl is adopted, and so on. Thus, against the origin of the Egyptians being attributed to an ancient Indian colony, there is no graver impediment than Noah's disrespectful son — Ham — himself a myth. But the earliest form of Egyptian religious worship and government, theocratic and sacerdotal, and her habits and customs all bespeak an Indian origin. The earliest legends of the history of India mention two dynasties now lost in the night of time; the first was the dynasty of kings, of "the race of the sun," who reigned in Ayodhia (now Oude); the second that of the "race of the moon," who reigned in Pruyag (Allahabad). Let him who desires information on the religious worship of these early kings read the Book of the Dead, of the Egyptians, and all the peculiarities attending this sun-worship and the sun-gods. Neither Osiris nor Horus are ever mentioned without being method is even more analogous to the Devanagari, and other more ancient Indian Alphabets, which read from left to right; and their letters show no resemblance to the Phrenician characters. Moreover, all the ancient authorities corroborate our assertion still more. Philostratus makes the Brahmin Iarchus say (V.A., iii., 6) that the Ethiopians were originally an Indian race, compelled to emigrate from the mother-land for sacrilege and regicide (see Pococke's "India," etc., ii., p. 206). An Egyptian is made to remark, that he had heard from his father, that the Indians were the wisest of men, and that the Ethiopians, a colony of the Indians, preserved the wisdom and usages of their fathers, and acknowledged their ancient origin. Julius Africanus (in Eusebius and Syncellus), makes the same statement. And Eusebius writes: "The Ethiopians, emigrating from the river Indus, settled in the vicinity of Egypt" (Lemp., Barker's edition, "Meroe"). connected with the sun. They are the "Sons of the Sun"; "the Lord and Adorer of the Sun" is his name. "The sun is the creator of the body, the engenderer of the gods who are the successors of the Son." Pococke, in his most ingenious work, strongly advocates the same idea, and endeavors to establish still more firmly the identity of the Egyptian, Greek, and Indian mythology. He shows the head of the Rajpoot Solar race — in fact the great Cuclo-pos (Cyclop or builder) — called "The great sun," in the earliest Hindu tradition. This Gok-la Prince, the patriarch of the vast bands of Inachienses, he says, "this Great Sun was deified at his death, and according to the Indian doctrine of the metempsychosis, his Soul was supposed to have transmigrated into the bull 'Apis,' the Sera-pis of the Greeks, and the SOORAPAS, or 'Sun-Chief' of the Egyptians. . . . Osiris, properly Oosras, signifies both 'a bull,' and 'a ray of light.' Soora-pas (Serapis) the sun chief," for the Sun in Sanscrit is Surya. Champollion's Manifestation to the Light, reminds in every chapter of the two Dynasties of the Kings of the Sun and the Moon. Later, these kings became all deified and transformed after death into solar and lunar deities. Their worship was the earliest corruption of the great primitive faith which justly considered the sun and its fiery life-giving rays as the most appropriate symbol to remind us of the universal invisible presence of Him who is master of Life and Death. And now it can be traced all around the globe. It was the religion of the earliest Vedic Brahmans, who call, in the oldest hymns of the Rig-Veda, Surya (the sun) and Agni (fire) "the ruler of the universe," "the lord of men," and the "wise king." It was the worship of the Magians, the Zoroastrians, the Egyptians and Greeks, whether they called him Mithra, or Ahura-Mazda, or Osiris, or Zeus, keeping in honor of his next of kin, Vesta, the pure celestial fire. And this religion is found again in the Peruvian solar-worship; in the Sabianism and heliolatry of the Chaldees, in the Mosaic "burning bush," the hanging of the heads or chiefs of the people toward the Lord, the "Sun," and even in the Abrahamic building of fire-altars and the sacrifices of the monotheistic Jews, to Astarte the Queen of Heaven.